Dogs go crazy for the taste of Vitamineral Green and will lick their bowls clean! Are you and your pet getting your daily dose of green vegetables??? Vitamineral Green is is an organic, whole food superfood combination. Unlike traditional multi-vitamin/mineral products, Vitamineral Green is non-toxic, exceptionally absorbable and is truly effective. It is a wonderful, nutritious powder that is made for people but great for pets. 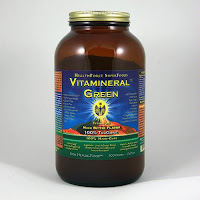 Unlike synthetic multi-vitamin/mineral products, the nutrients contained in Vitamineral Green are exactly as they occur naturally because they haven't been processed, heated or altered in manufacturing. This is a safe product for everyday use that can be sprinkled on your pet's food! Fabulous pet health product. Most pet owners are misinformed and believe that simply giving their pet a commercial "balanced" pet food is sufficient. This just isn't the case because many of the valuable vitamins, minerals and enzymes are destroyed during the heating process---regardless of how "natural" the pet food. 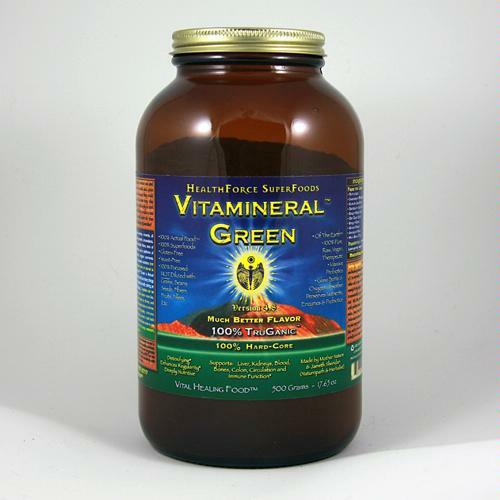 Vitamineral Green is especially needed for any pet suffering from liver disease or immune disorders. It will give your pet energy and revitalize their health. Great for pets who love to graze on grass---Vitamineral Green's organic grasses provide vital nutrients, enzymes and life force! We have researched many green superfood products and this one is simply the best! Click HERE to learn more about Vitamineral Green!